Video: Client Testimonials – Customer Satisfaction Guaranteed! I couldn’t believe how much mould I found underneath the flooring during my home renovation. I tried to clean it up myself but it was just frustrating and pointless. 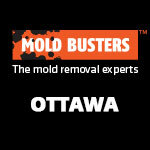 I finally called Mold Busters after a couple of my neighbours told me about their great services. I’m so glad I did. They even applied a polymeric disinfectant everywhere to prevent the mold from growing back. We live in an older home and, for many years, there had been a faint odour coming from what seemed to be the walls of the bathroom. Initially, we hadn’t paid much attention to it simply because it was an old house but finally decided to call some professionals. A Mold Busters inspector came the same day and checked our bathroom with an infrared camera. Needless to say, he found an extreme amount of mold hiding behind the walls. After that we decided to do an immediate mold remediation and ever since, we have happily been mold free! I have always been extremely embarrassed about my kitchen–mainly because of the mold growing under the sink, which I have been trying to get rid of for many years, albeit unsuccessfully. I finally decided to call a professional mold removal company because I was afraid the mold was making me and my children sick. I’m so glad I made this call… Mold Busters came in and fixed my problem quickly and I am confident that my kitchen mold troubles are over! I am 78 years old and I live alone in an old Victorian home. Over the years, I have had all types of workers, repairmen and contractors in my home for various reasons but none have impressed me as much as Mold Busters when they were helping me get rid of mold in my bathroom. I was truly surprised at how respectful they were and how much care they took not to damage any of my furniture or belongings. True gentlemen! My friends call me a neat freak – probably because I like keeping my house spotless. That said I was horrified when during my basement renovation I discovered major mold underneath the old carpeting. I had no idea what to do until one my friends suggested Mold Busters. I’m so happy with their work. They were fast and I was able to get back to my basement renovation in just two days. Thank you again Mold Busters. I couldn’t believe how much damage there was underneath the tiles beside my bathtub. The bathtub must have been leaking for years without anyone knowing. I guess that explains the constant smells! But the Mold Busters team did a fantastic job! What would have taken me weeks to fix, they did in a couple of days. Truly amazing. We live in an old farmhouse that has been passed down from generation to generation in our family. For some time now, we have been noticing a strong odour in certain areas of the house and, recently, our 6-year-old daughter developed asthma. Obviously alarmed, we called Mold Busters and got an infrared camera inspection of our entire house. The mold inspector discovered multiple areas of our house that had been affected my mold. It was great. The thermal imaging showed exactly where the moisture, ventilation and insulation problems were. Together with Mold Busters, we fixed these issues and now, our daughter’s asthma is much better. 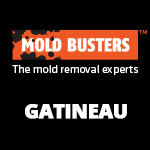 We are forever indebted to Mold Busters. I did receive reassurance that the mold I discovered was not as a result of a structural defect in my condo (which would have needed a lot of work to get to the source of the problem), so that was good, hence my 7 rating. Why it’s not higher is because I thought that additional readings may have pinpointed a specific area in the basement. I also didn’t find the explanation of the readings satisfactory. The reading registers airborne particles, but what percentage is harmful mold? Also, initially you told me that a 200,000 reading would be high. When it turned out to be five times higher in the basement (but less on the higher floors) you still said it was okay. So now I’m not totally reassured that there is no lingering problem. Anyways, your recommendations included to vacuum and wash the carpet and I will do that. Thank you. 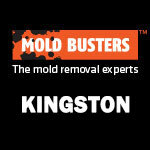 I needed fast mold removal services and Mold Busters gave me exactly that. They began work the day after I called them and were done a day later. They really do treat each and every customer with respect and provide superior customer service. Mold Busters did an attic insulation removal in my old home after I suspected it contained asbestos. Very professional job. They contained the area to reduce the chances of anything spreading and disposed of all the garbage themselves. They also found a leak that I had no idea about and fixed it. I got so much more from them than I ever even imagined. Thank you MB! The service that I got from Charles was professional and friendly right from the first encounter on the phone. This service carried over into the home visit where he conducted his testing. Knowing that I was very concerned with a potential issue we may have had at hand, he in no way took advantage of that where he could have provided a false positive in order to further profit for the company. 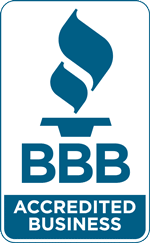 He was honest, took his time to explain what I was truly dealing with and provided a realistic solution He put my mind at ease and made me feel confident that Bust Mold Inc. is a trustworthy company with a superior form of customer service. With that being said, I would recommend with full confidence Bust Mold Inc. to anyone that I feel would benefit from this service. Thank you. I flip houses for a living and call Mold Busters each and every time I decide to buy a new property. 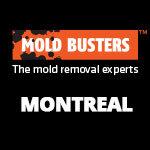 They respond immediately, offer the cheapest rates for air testing, and get the job done… it’s by far the best mold testing and removal service in the Ottawa and Montreal area. I usually wouldn’t take the time to sit down and write a review, but Mold Busters really deserves a word of praise for its excellent customer service and quality work. I am so confident in the quality of their work that I’m pretty sure I won’t even be needing the 3-year warranty! This was the first time we required their services. They were prompt and seemed to understand what we were trying to do and needed the analysis before we proceeded. 10/10 – We are in the construction business and when we have good services, we like to refer teammates and other contractors to those good service providers. Friendly service; quick and easy to book; very professional; they took the time to explain exactly what they were doing and why. 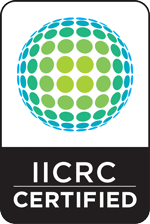 Professional and honest inspectors put my fears to rest. Fast and thorough in responding. Solved the problem within 24 hours. Thanks for the help.